Before Lee Soo (Seo Ji-Hoon) became a king, he was an ordinary blacksmith in the countryside. He life suddenly changed at the age of 23. This was when Lee Soo became the King of Joseon. Meanwhile, Lee Soo's first love is Gae-Ddong (Kong Seung-Yeon). He loved her before he took the throne. King Lee Soo wants to marry Gae-Ddong, but, because of her humble background, it is virtually impossible. To marry Gae-Ddong, Lee Soo hires the Flower Crew Matchmaking Agency. The agency consists of 3 handsome men: Ma Hoon (Kim Min-Jae), Do Joon (Byeon Woo-Seok) and Ko Young-Soo (Park Ji-Hoon) and they are the best matchmaking agency in Joseon. King Lee Soo asks the Flower Crew to make Gae-Ddong a noble woman. Based on novel "Kkotpadang: Joseonhondamgongjakso" by Kim Yi-Rang (published September 22, 2014 by PubPle). Lily Apr 15 2019 8:48 am Please cast Kim sae ron as female lead. She will look great alongside Seo Ji Hoon. That kid can really act and bring out the emotions beautifully. She really look beautiful in hanbok too. Example, in her previous drama Secret Healer, she was ethreal. Please consider her for this drama. May Apr 13 2019 3:14 pm Who is the main actor?please say that it's not park jihoonie.he shouldn't look at any girls.he's mine. KJ Apr 11 2019 8:23 pm Please cast Kim sae ron as female lead. She will look great alongside Seo Ji Hoon. That kid can really act and bring out the emotions beautifully. She really look beautiful in hanbok too. Example, in her previous drama Secret Healer, she was ethreal. Please consider her for this drama. SARAH LOREJO Apr 10 2019 7:29 am I believe this will be great! Really thinking and imagining Kim Yoo Jung and Seo JI Hoon working together in the drama. Ughh...starting to get goosebumps when the drama wasn't still airing at all. Goodluck btw! Hope this drama would be great. Shya Apr 09 2019 2:59 pm I like seo ji Hoon and eager to see him as king. Please let Kim sae Ron or Kim Hyun Joo play the female lead. Happy to see the roles given perfectly for three youth in matchmaking agency referenced. Kim min Jae, Park ji Hoon and Byeon woo Seok rooting for you all three too. Luna Apr 08 2019 4:04 am So is Seo Jihoon the lead male or not? Because the title is so referring to the flower crews which does not consist Seo Jihoon at all! So he's technically the main supporting actor? Please man he deserves the leading role! He's been playing a lot of main supporting role. I want him leading in some light high school drama please! Who's with me? im sorry if you disagree Apr 07 2019 9:40 am But please dont cast kim yoojung, kim saeron or kim sohyun for Gaeddong because i kinda feel bored to watch them in this kind of drama. I need some refreshing actress. Youuu Apr 06 2019 12:38 am Oooh my goodness.... seo ji hoon and Kim min Jae don’t deserve this, this drama seems like a joke I mean just give the guys a real drama to act. Sorry if any of y’all feel offended but I’m just saying the truth. and I’m soooo not watching this. Riley Apr 03 2019 1:52 pm @sia and others with the same thoughts: Please do your research before ranting over issues that do not exist here. Park Jihoon has been acting since he was eight years old, long before he was an idol and appeared in several dramas and musicals. You can check his wikipedia page for yourself to see his resume, his page here is quite new and missing nearly his whole history. There's also youtube videos dedicated to his television appearances as a child actor. This is not his first supporting role, this is his first supporting role as an adult. It is quite natural for someone who's been in the field as long as he has to begin taking bigger roles. For sure, his status as a famous idol means he's been offered plenty of lead/main roles but as you can see, he took a supporting role because he intends to do this correctly. JinYi Apr 02 2019 7:24 pm Kim Yoo Jung for lead role Please!!!! JinYi Apr 02 2019 7:24 pm Kim Yoo Jung Please!!!! Myles Apr 01 2019 4:16 pm I'm looking forward to this drama coz seo ji hoon is a really great actor. Will watch this because of him. Nux Apr 01 2019 11:32 am Kim So Hyun would be perfect for the female lead in this. I am so looking forward to watching this. I just know it's going to be good. juniper Apr 01 2019 6:10 am kim so hyun for female lead! Kim Mar 29 2019 5:53 am Kim yoo Jung or Kim sae Ron! Or both? Kfan Mar 26 2019 1:08 pm Want Kim sae Ron in this! She's been missing from dramaland for ages! anathasia Mar 22 2019 8:30 am I hope the female lead is Chae Soobin. I really want to see her again wearing hanbok. 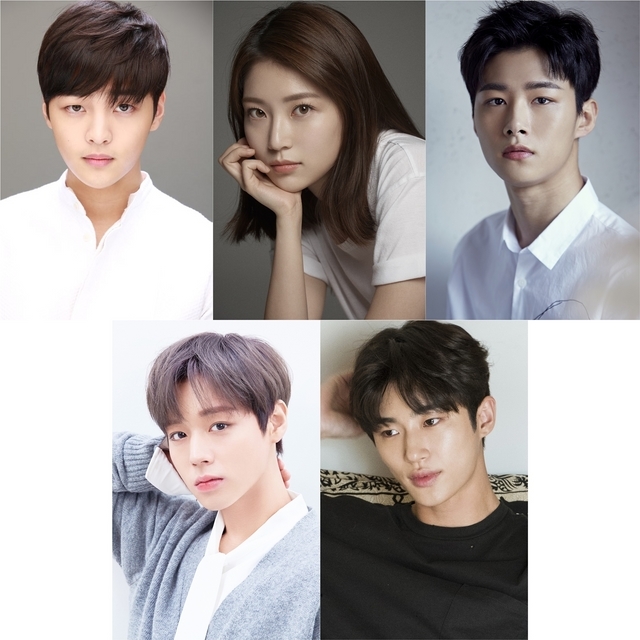 N.K Mar 21 2019 8:31 am WTF Kim Min jae still supporting role?